The record-breaking, chart-topping comedy phenomenon returns for a fifth season - all four episodes are here as a single download. 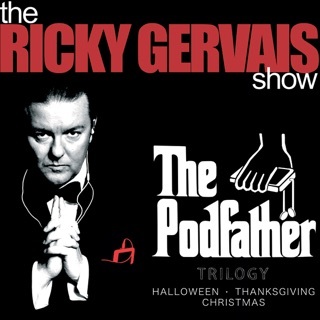 I just downloaded this, but assume it will be as great as every other podcast. If you have not gone online and downloaded all of the stuff available from their xfm days...you are missing some truly great stuff...they honestly may be better than the podcasts...there is years of stuff avaialable. They did it on and off for about 5 years, every saturday, for 2 hours. Hear the birth of rockbusters, monkey news, do we need em, etc. I downloaded everything...it is over 50 discs it wav format. YOU WILL NOT BE DISAPPOINTED. For just 2 hours of material, this "5th season" is just not worth the $6. To make it a season, they should at least go the distance of making a few weekly episodes and keeping it interesting. 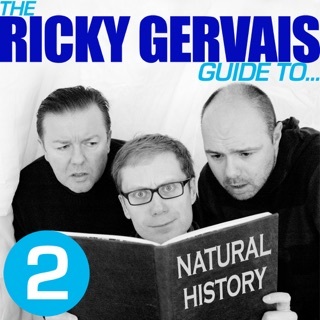 We're getting 4 'episodes' that are broken up merely by coffee breaks, and there are no features, no variety, just Ricky, Stephen and Karl chatting. I can't believe we're paying this much for it. And they have the cheek to admit that the first five or six minutes was wasted just on discussing Stephen's chair. Only a handful of laugh-out-loud moments, and half of them were already given away free on the preview. If they're going to keep the world's greatest podcast alive, and under the same name, they should put in the effort to maintain its quality, AND deliver more quantity for our money. Karl's (ironically, hilarious) quote sums it up: "take this bit out; if this is still in, then it didn't go well." If you're new to the show, save your $6 for one of the first 3 seasons, you won't regret it. Finally, the (supposedly) final set of Podcasts. The previous 4 seasons are quite possibly the funniest things I have ever listened to, and they dont get old either. Treat yourself and get all 5 seasons, they are worth it!